Hours: Vary depending upon the season – check the website. Tours of the inside of the palace are NOT available all year. Admission: Children under 5 are FREE; group price for a family of 5 is available so it may be cheaper for you to buy a family ticket and extra individual tickets if your family is larger than 5. Tickets can be purchased online and can be deducted as a charitable donation. 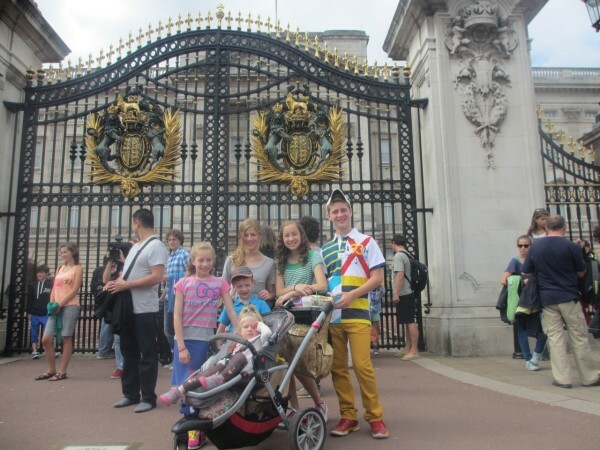 Description: Over 50,000 people each year visit the home and workplace of the Queen and the British Monarchy. Opened in 1703, it has been in continuous use since and is host to both formal and informal gatherings of the Monarchy. Garden parties are common in the summer, and the Changing of The Guard is a year-round highlight. The Palace offers limited access to the public, so plan your trip to London in the summer months to best enjoy this attraction. Our Experiences: Our entire family enjoyed the State Rooms of Buckingham Palace, where we were guided through an audio tour. Our tour lasted over two hours, but it was very interesting and well-paced. This is a worthy attraction for visitors who plan to enjoy London in the summer months! We opted for the audio tour for children and it was enjoyable. Admission: Children under 5 are FREE; group price for a family is available so it may be cheaper for you to buy a family ticket and extra individual tickets if your family is larger than the family ticket. Tickets can be purchased online but must be used within 7 days of purchase. bevy of children’s activity trails. Tours leave every 30 minutes and, unfortunately, cannot be reserved in advance, but you can pre-purchase your entry tickets online. 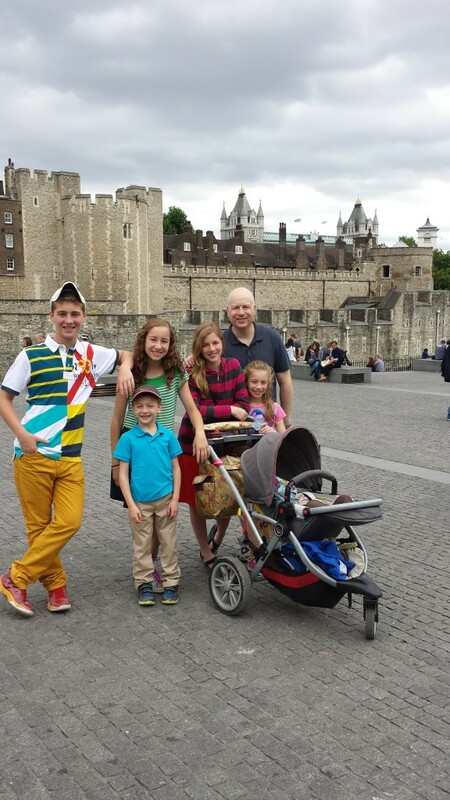 Our Experiences: The Tower of London is a true highlight on any trip. For parents, finding tours and activities that are not too long but not too short and worth the price of admission is a tricky balance. The Tower of London met that standard. Our kids found the tour to be fun and engaging; they were particularly enthralled by the Yeoman Warder Audio- Guided Tour. Our girls really enjoyed the Crown Jewels display, though we would recommend skipping this if the lines seem too long. Our family really enjoyed The Tower of London, and we highly recommend your family give it a go too! Overall Rating: However- mature content- prepare your family for the experience! This is NOT for many families because of the content. Description: First opened in 1911, the Victoria Palace Theater seats an audience of 1550 and has hosted plays and shows across a wide range of genres and notoriety. We saw Billy Elliot, the beloved musical of a boy who wants to be a ballet dancer. Set during the British coal miners’ strike of 1984, young Billy lives in a small world of violence, poverty, and single parenthood. After failing at the boxing lessons so valued by his father, Billy sneaks into an all-girls ballet school, where his true talents shine! But becoming a member of the Royal Ballet won’t be an easy thing to accomplish when so much is stacked against him. With the support of his teacher and friend, Billy sets out to prove that prejudice and bias are no match for what the heart truly wants… and Billy’s heart wants to dance! Our Experiences: This show is set to run through 2015, so there is plenty of time to plan your trip to the theater. That said, heed the warning about the play’s bad language and inappropriate content! While we loved the play overall as a family (with the exception of our two-year old), we are confident many parents would not want to take their children to this play because of the language and the content. If your children are allowed to watch PG-13 movies, then this will not be a terribly shocking play. We are generally quite strict with the types of movies and television we allow our children to view, yet we decided it was okay to let our children see this play (and because we are typically strict, the majority of the innuendo went over our children’s head, though of course the bad language did not). We prepped our kids for the language and scenes they might see during the play. Our teen boy loved the play more than Wicked. Our teen girls also loved Billy Elliot but preferred Wicked more. Overall, we highly recommend this play if your children are mature and if you properly prepare your children with a a discussion before the show about the content and words they will experience during the production. It also would pay to tell your children what the show is about before the show. They will understand it much better.